MISSING: An Interactive Thriller is an episodic game series that returns to the ways of FMV (full motion video). It’s fairly tense, has great puzzles, and is a bit too short. For those unaware, FMV is a video game narration technique that relies on pre-recorded video files to display action or storytelling in a video game rather than your usual sprites, or 3D graphics. Night Trap and Dragon’s Lair are perhaps some of the more famous FMV titles, and if you decide to play both games today they will feel a bit dated. So going into MISSING, I was a bit worried about it feeling too silly, awkward, and poorly executed. Fortunately, developer Zandel Media has managed to make an FMV experience feel engaging, even in 2015. 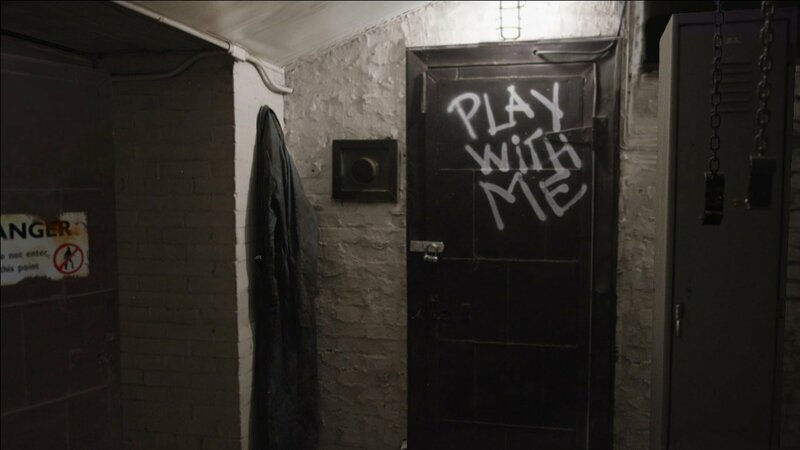 The game plays out like a typical SAW movie as you assume the role of David Newcastle, a father who has been kidnapped and locked up in a deserted building. You’ll have to solve a plethora of clever puzzles, sit through a few FMV cutscenes (with real actors), and participate in some awful quick-time events. Actual input from the player is minimal, as all you really ever do is search a few (still) rooms for clues and items that will help solve whatever puzzle is blocking your path. It plays similarly to visual novels such as Zero Escape: Virtue’s Last Reward and the Danganronpa games. MISSING so heavily relies on its puzzles that if they weren’t interesting and fulfilling, the whole experience would crumble beneath their weight. Fortunately, they’re up to the task. For example, in order to unlock the first door in the beginning, you’ll eventually have to finish a crossword puzzle. I’ve never done that in a video game, and I actually quite enjoyed it, even if it was an odd choice. As for the other half of MISSING’s gameplay, the quick-time events feel played out, boring, and a bit silly. At one point, you’re forced to decide whether or not a detective—who is a major character in MISSING—will drink his cup of coffee by either failing, or succeeding a quick-time event. It’s a bit ridiculous, but thankfully there aren’t enough QTEs to totally ruin the game. As for the acting in the FMVs: it’s fine. It isn’t anything special, but past FMV games have employed much worse actors than what was seen here. The music, however, was actually a great surprise; it’s well done, and it really adds to the tension and atmosphere—it helped me feel like I was playing a proper mystery thriller. My biggest gripe with this first episode is its limited length; I finished it in just under 30 minutes. At a cost of $4.49 CAD on Steam, when compared to the amount of content a studio like Telltale supplies with its episodes, MISSING’s length feels a bit unacceptable. That being said, Zendel Media have promised that future episodes will be roughly 90 minutes long. Overall, I came out of MISSING feeling quite surprised. I’m invested in and intrigued by the story enough that I’m excited for what this series has in store. Hopefully we’ll be provided with much more exposition regarding why David was kidnapped, and who the culprits behind his abduction are in the next episode. MISSING: An Interactive Thriller is an episodic game series that returns to the ways of FMV (full motion video). It’s fairly tense, has great puzzles, and is a bit too short.